Decades ago, if you wanted to take some extra luggage or other bulky items along on a car trip, you only had a few choices in terms of the type of cargo roof rack you could utilize. Some ancient models were made of wooden slats attached to a steel frame; others were simply a couple of cross bars fastened to the car roof by suction cups, or a combination of straps and clips. But even a quick look at today’s automobiles, trucks, and SUVs would reveal a veritable revolution in the design and application of the modern roof rack, showing just how far this value-added, automotive accessory has evolved over the last several years. 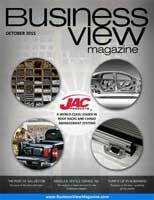 Today, roof racks and automotive racking systems are technologically complex, innovative in their fabrication and production, and according to Jeff Cavalier, Engineering Manager for JAC products, one of the top five aesthetic considerations that new SUV buyers list as important when looking for their next vehicle purchase. No longer a clunky afterthought, the modern roof rack is “a piece of jewelry on that roof,” says Cavalier. 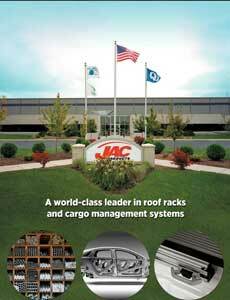 JAC Products, Inc. was founded in 1967, and today is a leading designer and manufacturer of automotive roof racks and cargo management systems, supplying the world’s top car manufacturers. Its customers include: Ford, Toyota, Honda, General Motors, Subaru, Renault, Hyundai, Chrysler, Kia Motors, Nissan, and Peugeot. 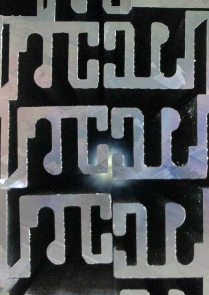 With offices around the world and manufacturing facilities in Michigan, Georgia, and Portugal, JAC is a pacesetter with extruded aluminum designs. JAC’s engineering and manufacturing capabilities also include plastic injection molding and steel rollform for the base components. Cavalier is part of the manufacturing staff in JAC’s Franklin, Georgia facility, which was set up as an aluminum extrusion plant in the mid-1960s, and was taken over by JAC 20 years ago to help the company supply its aluminum-based products to the automotive industry. 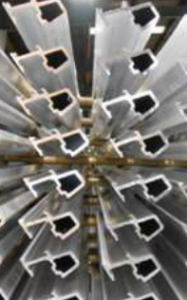 The extrusion lines produce millions of pounds per year of the 6XXX series aluminum for their product. 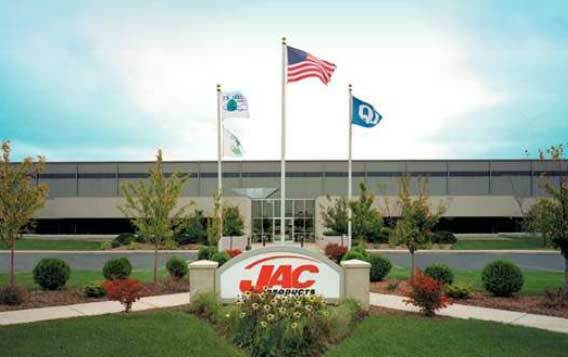 But with only about 1500 employees in North America, JAC is far from the biggest player in the game. Its competitors include the WKW Automotive Group, headquartered in Germany; DURA Automotive, with more than 21,000 employees in 15 countries; and the MINTH Group from China, whose customers represent 80 percent of the total global auto market share. “If you look at the size of us compared to those companies, we are relatively small,” Cavalier admits. In addition to its roof rack business, JAC Products also supports the aluminum substructure within the automotive industry, as the auto companies continue to make the switch from steel to aluminum in order to make cars lighter. That often requires JAC to make certain changes to the aluminum alloys that it provides to the car manufacturers since they are also moving rapidly to the robotic welding of parts, rather than bolting them together. It’s another reason why the company’s development group in Michigan stays closely involved with the car manufacturers’ engineers. In order to keep on the cutting edge, JAC’s technology is also reaching into areas like cameras and LED lighting systems that can be incorporated into the roof racks, themselves. “We can put cameras in a roof rack to get a 360 view around any vehicle. We can put security systems in a roof rack. It’s not just about metal working; it’s about the whole technical field and how it’s integrated into the car and what it means to safety and to the vehicle’s appearance. We want JAC to truly be involved in anything that’s going to be innovative in that vehicle because we have the capability of doing that.” In addition, the coatings and sealings of JAC’s products have to stand up to years of harsh car wash detergents and rough weather, so the company does a lot of testing of its various finishes. Cavalier also admits that proximity to the manufacturers, both in Michigan and the southeast, where more auto plants are being built, is helpful. “Franklin is in a good location for us to meet delivery needs. Any time we can minimize the amount of freight that just helps the cost to our customers. JAC Products may not be the world’s biggest roof rack and cargo management company out there. But with its innovative technologies, coupled with a fierce desire to satisfy its customers’ demands, it certainly is on top in North America – and in the near future, it expects to be on top on other continents, as well.